OnePlus launched it’s special OnePlus 6T McLaren Edition in partnership with the automobile brand. 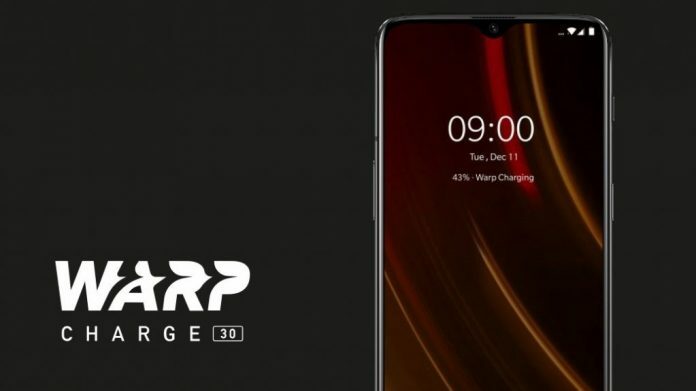 The limited edition phone comes with some upgrades over the regular variant such as 10GB RAM, McLaren themed back panel and Warp Charge 30 fast charging technology. So, OnePlus has replaced the previous Dash Charging technology with the new Warp Charge 30 in McLaren edition. This new fast-charging technology can offer a day’s charge in just 20 minutes. Here’s everything you need to know about Warp Charge 30. 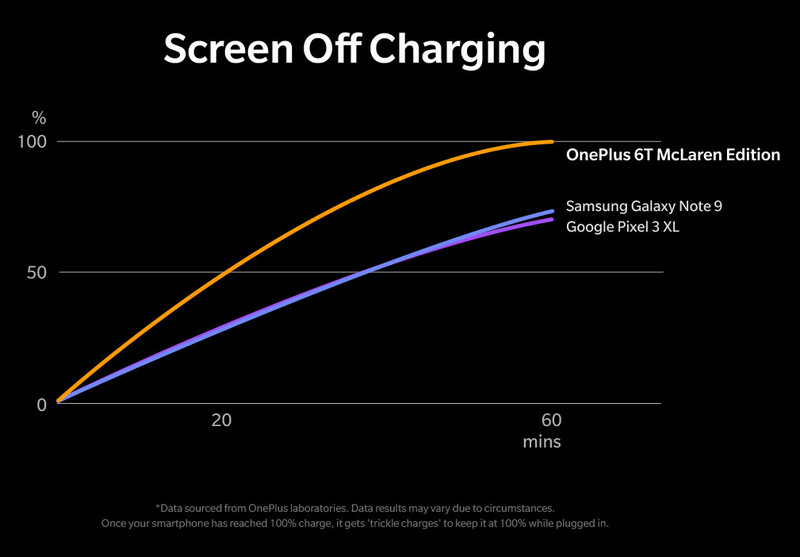 The Warp Charge 30 comes with 30 watts charging technology which OnePlus claims, is the fastest ever. This is only supported by OnePlus 6T McLaren Edition and can provide a day’s power or 50% charge in just 20 minutes. It can charge the device 100% charge in an hour. Normally, when phone charges the heat is generated and it dissipates inside the phone itself. It causes performance issues as well if the phone is being used while charging. On the other hand, in the Warp Charge 30, the majority of heat dispersion happens in the adapter and leaving very little heat in the phone. The Warp Charge 30 carries larger current than regular fast chargers. To address such a large amount of current, the company has updated the components of the battery protection structure and added eight-layer protection board. This mechanism will also help in more efficient cooling. 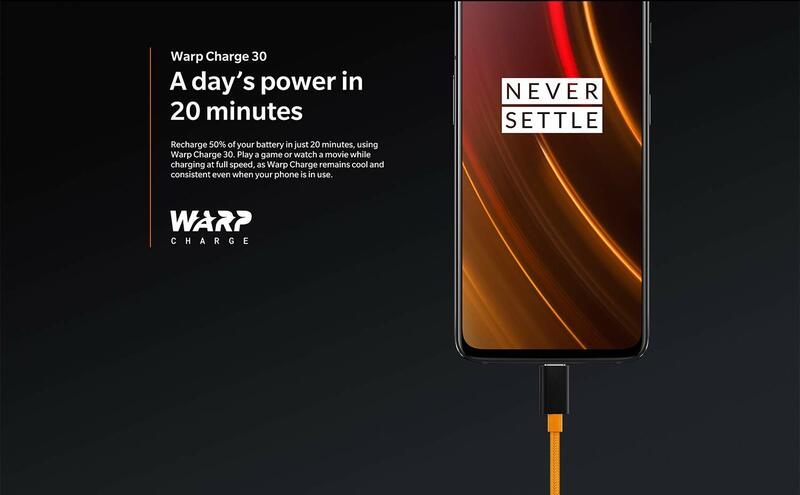 The Warp Charge’s charging speed while screen-off and while gaming has also been compared to other charging solutions the likes of Galaxy Note 9 and Pixel 3 XL. The Warp Charge beats these charging technologies easily. The Warp Charge’s power adapter is backward compatible with older OnePlus devices as well. So, when you use it with the OnePlus 3 or the regular OnePlus 6T, the Warp Charge 30 adapter will charge the device at regular fast charge speed and not at Warp Charge 30 speed. While the regular OnePlus fast charge type-C cable is also Warp Charge 30 compatible. So, it can charge the McLaren Edition at Warp Charge 30 speeds when added with the Warp Charge 30 adapter. 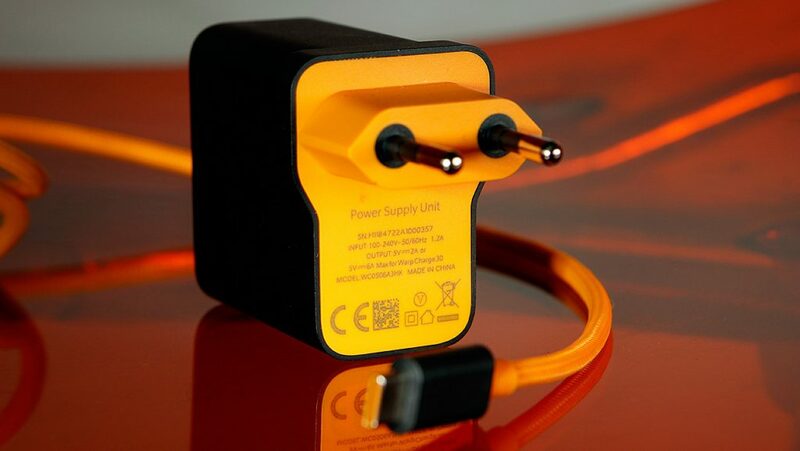 Further, the regular fast charge adapter can also be used to charge McLaren Edition but it will charge at normal fast charge speed. The OnePlus 6T McLaren Edition comes with 10GB RAM and 256GB storage. It is available exclusively via Amazon.in and OnePlus online store at Rs. 50,999.